This is the Delsey Paris Chatelet product line. 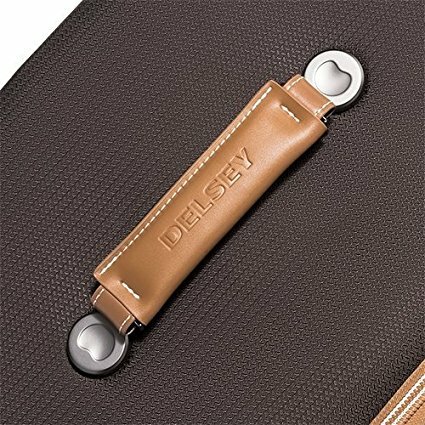 Delsey has been around since the mid 40’s and is known for its excellent reliability, incredible designs and French excellence. 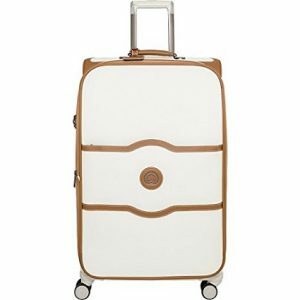 Their luggage is always well thought out before they set out to make it and that is true with their Chatelet line. The Chatelet is unique in appearance and provides a twist with some of the features that it offers. It does a fantastic job overall with the design of the luggage, its construction and the materials used as well as the features which are unheard of with some other luggage lines. Read on below for a more in-depth review or skip to the bottom to see what we found to be the good and bad with this luggage line. 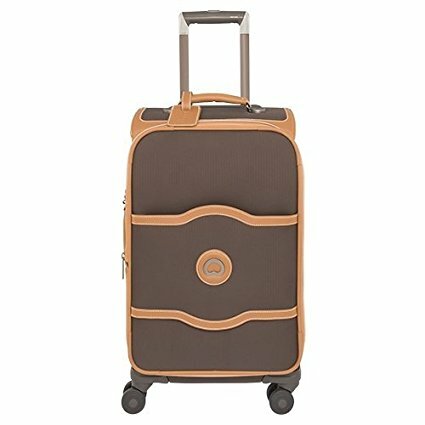 The Delsey Paris Chatelet line is perhaps one of their most unique and attractive lines of luggage that they have come out with. It’s not your typical solid boring colors and the design gives this luggage line a sense of elegance and grace only thought of with the wealthy. The Delsey Chatelet luggage set and individual pieces come in a couple colors for you to choose from. You have the original angora/champagne color which is the lighter one and then you have chocolate which is obviously the brown luggage. However, Delsey also has a new look for the Chatelet line and it’s the all black look and it sure is eye catching. Usually when people look at the Chatelet line by Delsey Paris they are always looking over and reading about the hard-side set without any clue that Delsey also makes this available in a soft-sided set. The only difference between the two is that the hard-sided line is made with polycarbonate and the soft-sided is made with 380d polyester with Teflon protection. Also the soft sided set only comes in the champagne and chocolate colors, not the black. They also added faux leather accents to provide a more classic look. When reviewing the Chatelet luggage set that includes a carry-on, small spinner and large spinner or just reviewing the individual pieces you obviously need to know the sizes. Below we’ve posted the dimensions (both interior and exterior including wheels and handle) and weight of each sized luggage. As you can see there’s a lot going on with the Delsey Paris Chatelet luggage line but it’s worse than it actually is. Delsey has created a pretty incredible product with lots of options which is always nice to have. This product line is one of Delsey’s best-selling and for good reason as it’s also got great durability and interesting features which we’ll get into later on in this review. 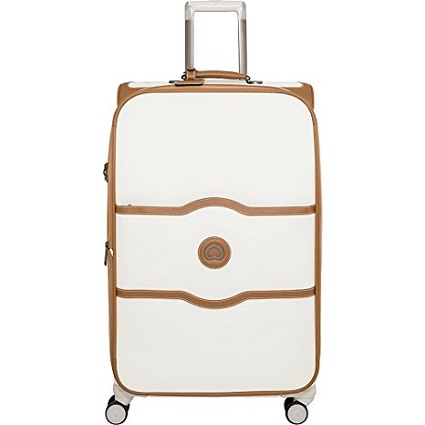 However, for style and design the Delsey Chatelet luggage line gets 5 out of 5 stars! The Delsey Paris Chatelet luggage line might not seem like it but it is actually pretty durable. You would hope so as well considering the price tag on these pieces of luggage. If you weren’t aware, Delsey Paris products are quite pricey, so to make sure you get your money’s worth let’s take a look at the durability for the Chatelet line. First off, both the hardside and softside versions of the Chatelet are actually built to last and made with great materials for doing just that. The hardside version of the Chatelet is made with a highly resistant Virgin Polycarbonate. This means that the luggage uses the best form of this material and it makes the luggage both highly resistant to impacts and very lightweight. The softside version of the Chatelet isn’t too shabby either. Obviously it won’t provide the same kind of protection that a polycarbonate suitcase will but the softside is made with 380 denier polyester with Teflon protection. 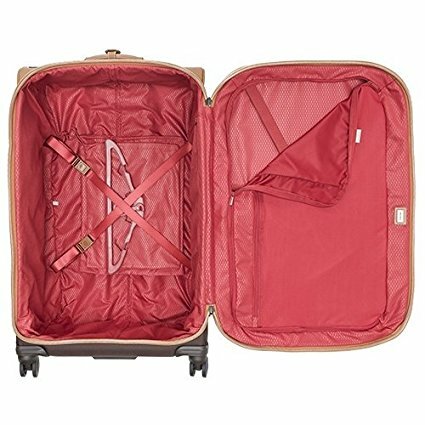 The polyester obviously makes the luggage lightweight, while the Teflon is capable of fending off spills, stains, dirt, all without making the fabric discolored. It also doesn’t add to the weight or change the look or feel of the fabric. Another form of durability that most people don’t think of has to do more with other people messing with your luggage that just the natural wear and tear or environment you’re in. The Delsey Paris Chatelet comes with a recessed TSA accepted lock that only allows TSA agents to open it and inspect your bag. This is provides for some peace of mind that luggage handlers won’t be snooping through your belongings. 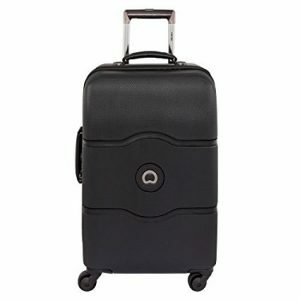 Finally, with all great luggage comes great warranties or guarantees and this is true for the Chatelet luggage line. Delsey provides us with a 10 year limited warranty on this luggage. Although ten years is quite generous, it falls behind the lifetime warranty other companies are providing on their luggage. Overall the Chatelet luggage line by Delsey does a great job of being able to take on the rigors of airport travel, as well as nosey luggage handlers. It also helps that you have a respectable warranty to back it up. Overall the Delsey luggage line gets 4 out of 5 stars for durability just because I’d like to see a lifetime warranty instead. 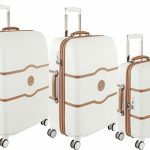 Delsey has a lot going for it with its style and durability and it gets even better when we talk about the impressive features and functionality that the Chatelet luggage line has. The Delsey Chatelet has some features that are rarely if ever seen and although they are nice to have not necessarily a must have yet they are pretty neat. 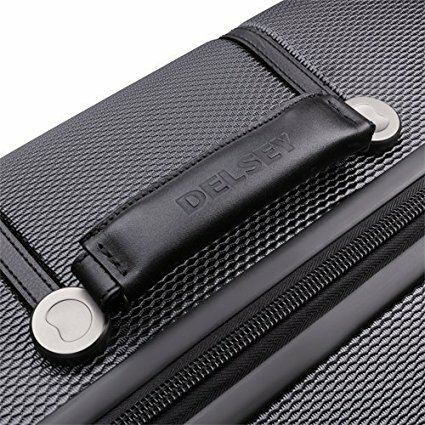 Starting with the interior of the Chatelet luggage line, Delsey provides convenience and secured packing with its two packing compartments, which are fully lined, that have tie-down straps on one side to prevent your clothes or other valuables from shifting around during transit or handling. The other side has a zippered divider that also helps keep everything in place during travel. The interior also features a removable hanger and loops that allow you to hook the hanger inside as well. Delsey also provides you with a laundry bag to keep your dirty clothes separate from your clean ones and a shoe bag for the exact same reason. 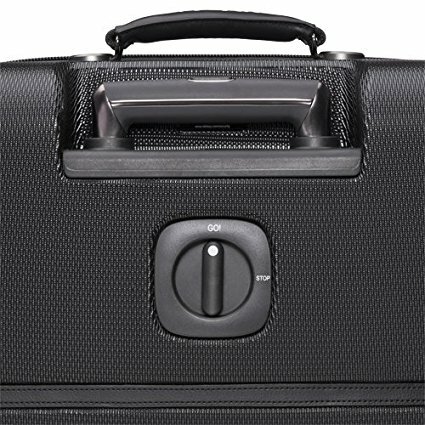 Delsey’s exterior also provides us with some additional features, some of which are unique and others more common yet very valuable. Take for example the excellent maneuverability of the luggage. This is all credited to the double spinner wheels which make navigating a busy airport a piece of cake. They are also extremely quiet and don’t squeak which is also a bonus. The wheels also provide us with a bonus unique feature, they brake! Delsey’s unique braking system is capable of locking the two front wheels so that it won’t roll away when on a slop or ramp. It’s extremely easy to activate as well, simply turn a little switch on the backside by the handle. This feature also lets its users roll the bag on the back two wheels if you were not in the mood for using the spinner wheels. Finally a nice to have feature of the Chatelet luggage line is a tracking plate on the back of the luggage that will assist you in finding your luggage in the event it gets lost. You can easily register your suitcase or carry-on for free on Delsey’s website. There is one aspect to the luggage that I find quite annoying and it has to do with the zippers actually. Now the zippers are tough and I have no concerns with them ripping or anything but trying to zip up the luggage is a pain. 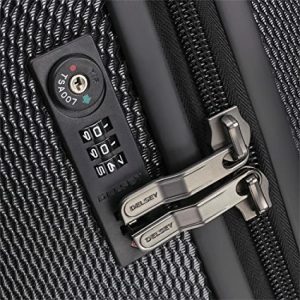 You have two zippers which have to meet at the same point on the luggage for it to close properly. Other than that this luggage line is fantastic. If you’ve read other reviews, it’s easy to see that Delsey doesn’t have a long laundry list of features and we like that. It is actually a very basic luggage line that does almost everything perfectly with the exception of the zippers. Overall the luggage set is simple yet quite sophisticated and we give it 5 out of 5 stars for functionality! The design of the Chatelet is exquisite, innovative and representative of the Delsey Paris design. Its unique look is a nice break from the monotonous colors and patterns you typically see at the baggage carousel. 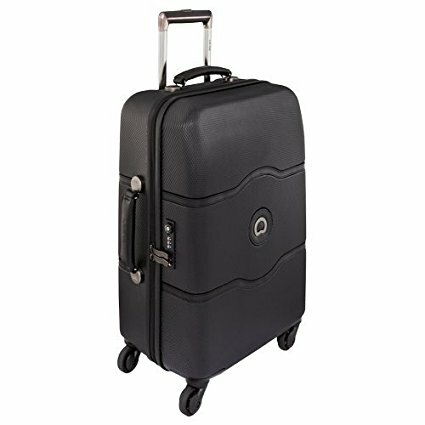 The durability isn’t half bad either as well as the unique features but let’s recap what we found to be the good and bad with the Chatelet luggage line. A unique design and multiple color options for the Chatelet will make sure your bag stands out among the sea of other boring luggage pieces. The Chatelet is offered in both a hardside and softside version so you can pick whichever you prefer more. Both versions of the Chatelet are made with durable materials that will last you for years to come. 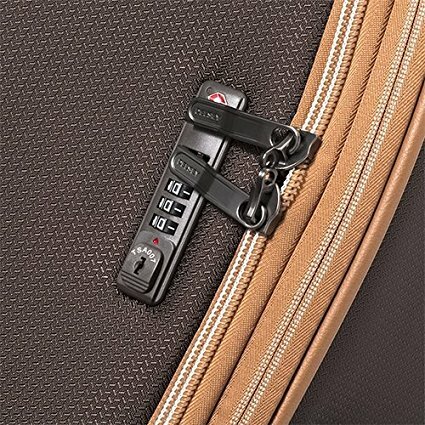 Delsey put a TSA approved recessed lock on the Chatelet to keep prying eyes and thieves from getting to your valuables. Interior tie down straps keep your clothing and valuable from shifting around during transit. The interior also comes with a separate zippered compartment that is also designed to keep everything in its place during transport. The Chatelet line comes with a removable interior hanger, a laundry bag for your dirty clothes and a shoe bag to keep them separate from your clean clothes. Double spinner wheels provide excellent mobility especially in the airport when it can get very busy. 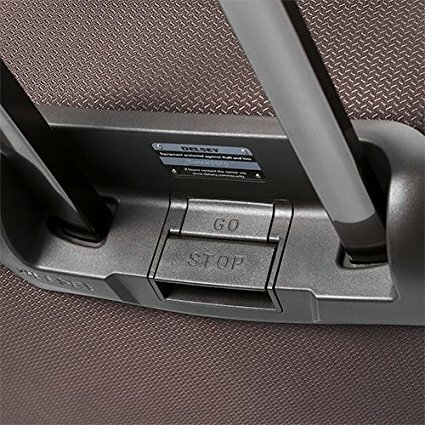 Delsey added a switch to the Chatelet line that allows it to lock its front wheels to keep your luggage from rolling away if you are on a slope or ramp. A tracking plate on the back side of the luggage helps with locating it in the event it gets lost. The Chatelet comes with a 10 year limited warranty in the event that at some point within 10 years the luggage fails you. The zippers on this luggage line can be tough to deal with and actually close. Although a 10 year warranty is better than nothing, we prefer to see lifetime warranties, especially if you are going to be paying a higher price for your luggage. Which leads us to our last point which is the price of this luggage is, well, high. You have to have some disposable income that you don’t care throwing around to purchase this luggage. As you can see the last thing listed is that we found the price to be a little on the high side but if you want to have some of the best luggage available on the market you have to be willing to dole out some cash. 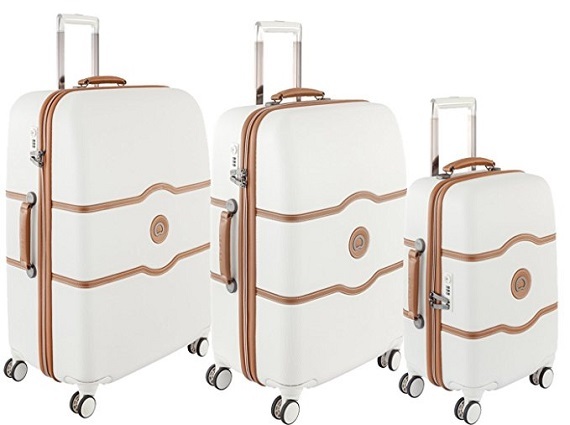 The Delsey Chatelet line, while we have seen cheaper and more expensive sets and individual pieces, it does a lot right and taking everything into consideration we give this luggage line 4 out of 5 stars.